Powers/Abilities: Possessed the Talismans of Power which could be used to summon and control the humanoid manifestations of the four ancient elements. History: (Marvel Comics Presents#168/4 - BTS) - Using the Talismans of Power, Taaru became the ruler of a small village in China and the owner of his own castle. Many people suffered under his tyranny except those who became loyal followers. Those who didn't follow him were thrown into his prison or became his slaves. 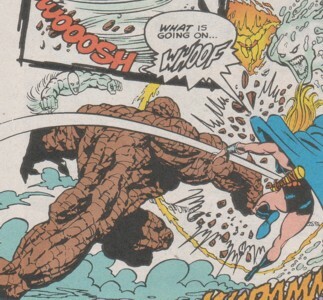 (Marvel Comics Presents#168/4) - Taaru sent his Elemental Creatures against Valkyrie and they defeated her. Taaru was impressed by her long resistance against his creatures and wanted her alive as part of his stable. Valkyrie awakened in the prison below Taaru's throne room. From there she was brought Taaru by the Chancellor. Taaru welcomed her in his palace and told her who he was and that he held the fabled Talismans of Power. He bragged that he owned everything and everyone. Now he even had Valkyrie's sword Dragonfang, but Valkyrie was not impressed by the words of the tyrant. She jumped through the Water Creature and took her sword again. After she had destroyed the Earth Creature she came for Taaru. She took the Talismans of Power away from him and destroyed them. The Elemental Creatures of Taaru disappeared and the tyranny of Taaru was over. All his loyal followers deserted him in a second and Taaru was left alone in the hands of Valkyrie. She gave the prisoners of Taaru the keys to their shackles and dropped Taaru into their prison. 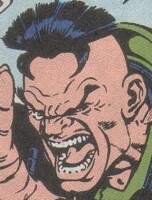 Taaru was then killed by his former prisoners. Who was this guy anyway? Taaru the Terrible sounds desperate. "Fear me! I'm terrible!" He was probably beaten up as a child. It could be that he worked for a museum in China that got the Talismans of Power and he just stole them or he was somehow connected to the rightful owners of the Talismans and stole them. I'm sure that he stole them, but I think that it isn't too important how he got them anyway. He got them, terrorized the people with the power of his Elemental Creatures and died when he found a more than worthy enemy. He was really a wannabe womanizer. Come on ugly boy! You needed to enslave the girls to get some love. To say it with Valkyrie's words: "Big-eared, petty little tyrant"
Diablo's original Elementals of Doom also created with the help of the Talismans of Power were very talkative. Grammatically not correct, but talkative. Taaru's Elemental Creatures didn't say one single word. There was no reason given for their silent state. NOTE: Both were created via the Talismans of Power, so they are not only connected, but may actually be the same beings--Snood. He was the loyal chancellor of Taaru the Terrible. He went down into the prison with a guard and the Earth Creature to tell Valkyrie that Taaru wanted to see her. A prisoner who wanted some water was threatened to lose his hand if he came closer to the Chancellor. After this small incident he brought Valkyrie into the throne room of Taaru. The Chancellor deserted his former leader Taaru when the Talismans of Power were destroyed by Valkyrie. The Elemental Creatures of Taaru were the Fire Creature, Earth Creature, Wind Creature and Water Creature. He summoned them with the Talismans of Power. They were the fundament of his tyranny. Together they were able to defeat Valkyrie in their first fight. It didn't work so well when they met her again in the throne room of Taaru. The Water Creature wasn't able to stop her from getting her sword Dragonfang back from Taaru. The Earth Creature missed Valkyrie and punched the hole into the ground through which Valkyrie threw Taaru to his prisoners. The Fire Creature and Wind Creature weren't doing anything to stop her. They all disappeared after Valkyrie destroyed the Talismans of Power. Like Diablo's Elementals of Doom, these creatures were created via the Talismans of Power. They are not only connected, but may actually be the same beings. If this is the case, then you can find them also in Fantastic Four I#232 & 306, and in Fantastic Four III#35 & 36. 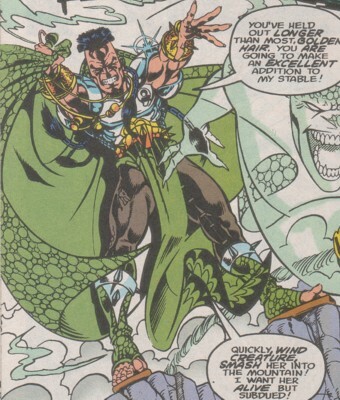 In addition, as the Talismans were destroyed by the Valkyrie in Marvel Comics Presents#168, Diablo either rebuilt the Talismans, created new Talismans, or formed new Elementals sans Talismans in FF III#35+36. It was the place from which Taaru reigned over his village. It was built on a hill above the village. The throne room of Taaru was in the highest tower in the center. Below the throne room there was a prison for female slaves and other opposers of Taaru. 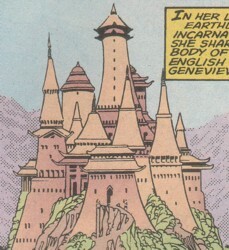 Except those locations nothing else was of the palace was seen in the story.